It was the morning of a smiling spring day. Outdoors the sun was making world shinier and warmer and we almost forgot about the past winter. Spring always calls for good experiences. So on that day, 30 March, we got up early because we wanted to go to an exploratory walk before the earliest tourists had arrived. So we jumped in the car and soon we were on the road between the towns of Kazanlak and Shipka in central Bulgaria. Just before the Shipka town we followed the sign for the Thracian tombs Helvetia, Griffins and Shushmanets. Speaking of Thracian tombs, we first need to introduce the Thracians. Thracians tribes were maybe the first settlers on our lands but despite we hay have inherited their genes, we know very little about them. Most people could recall a name of a Thracian tribe only because several wine cellars in Bulgaria bear their names, too. But let’s get back to the tombs. Following their dating, we can speak of the Odrysian kingdom – a form of state union between some 40 Thracian and other tribes. The state was created during V century BC and its capital was the city Uscudama (today’s Edirne). We have been to a very interesting tomb near this town, the Mezek Thracian tomb. After the march of Alexander the Great, the Odrysian kingdom was temporarily under the then Macedonian state. 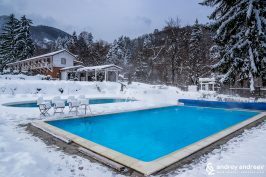 Now let’s get back to Kazanlak area. Seuthes III, the then ruler of the Odrysian kingdom, after bloody battles with Macedonians, revived the Odrysian kingdom and established Seuthopolis. The city was a capital of the kingdom from 320 BC. Seuthopolis was located on the left coast of Tundzha river and was the only settlement of urban type for Thracians. 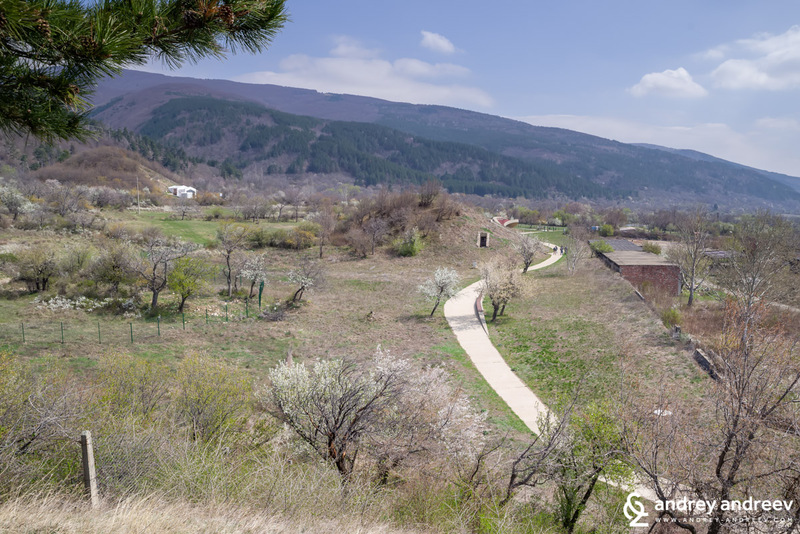 Nowadays, the remains of this once fortified and flourishing city are buried under the Koprinka reservoir, near the town of Kazanlak. This is about Seuthopolis for now, next time I will read and tell you more about it. From here starts our story about the numerous Thracian mounds in the area that were widely used, probably in the same period. 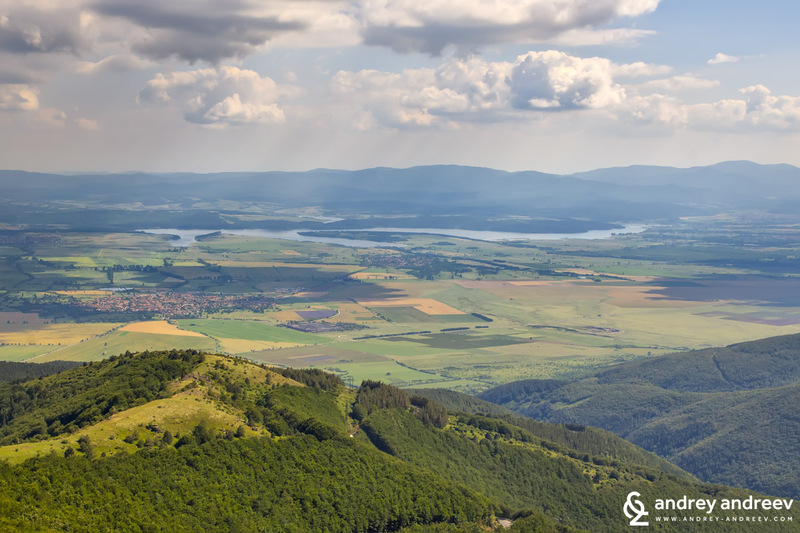 The Valley of Thracian rulers – this is how the Kazanlak valley is known. Here are found numerous mounds (about 1500), built by Thracians for various reasons. 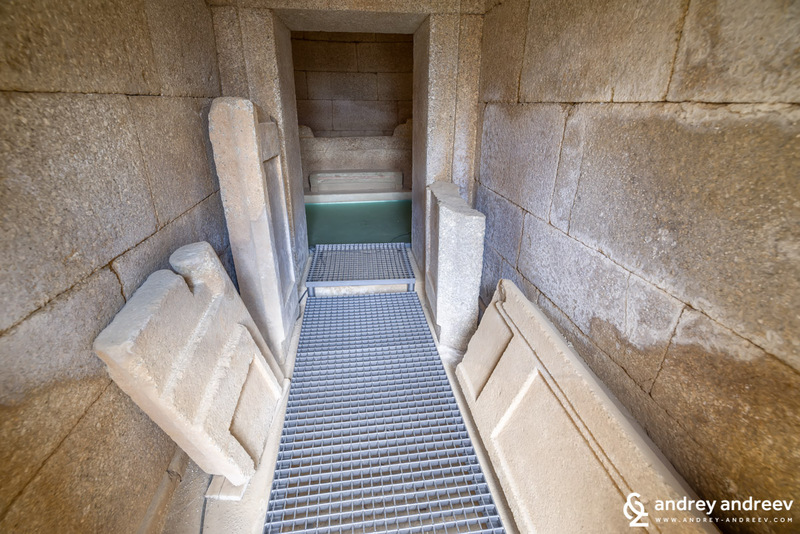 Many of them host the tombs of Thracian aristocrates or other important persons. Nowadays about 300 of them have been studied and only about a dozen are open for visitors. 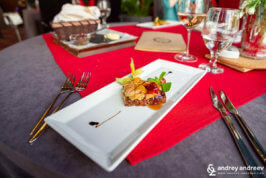 And after this short introduction, we are heading to the town of Shipka, near which is located the Shushmanets necropolis. 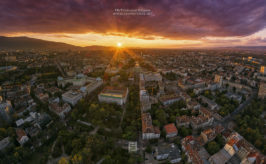 There we can see three Thracian tombs-sanctuaries – Helvetia, Griffins and Shushmanets. The first question is why Helvetia. Actually the mound was named after the Swiss foundation that sponsored the excavation. Helvetia is the female national personification of Switzerland. The name was given by archaeologist Georgi Kitov who discovered the tomb in 1996. Actually, most of the tombs in the area were discovered by Kitov and the gave them the names they are popular now with. 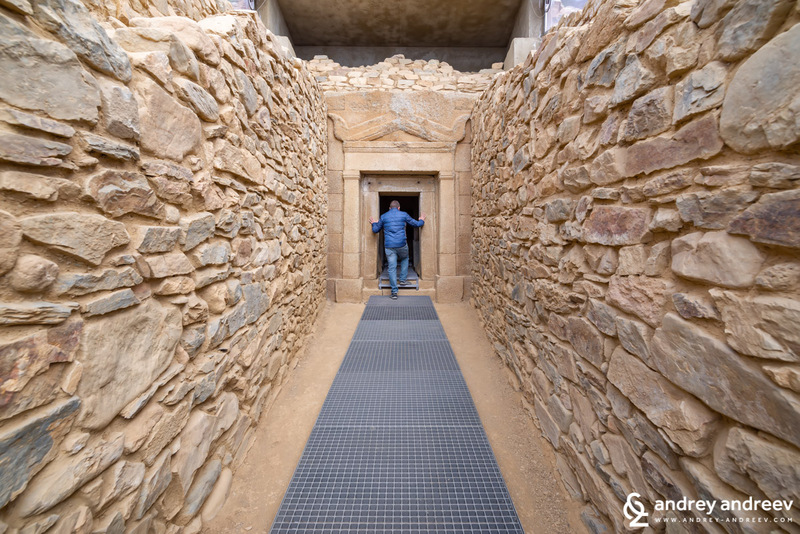 Now we are stepping through the dromos – a word you may not know if you have not visited a Thracian tomb before. Dromos is the long corridor leading to the entrance of the tomb or sanctuary, built with stones. All of the tombs in the area are south-oriented and are located in the southern part of their moounds. 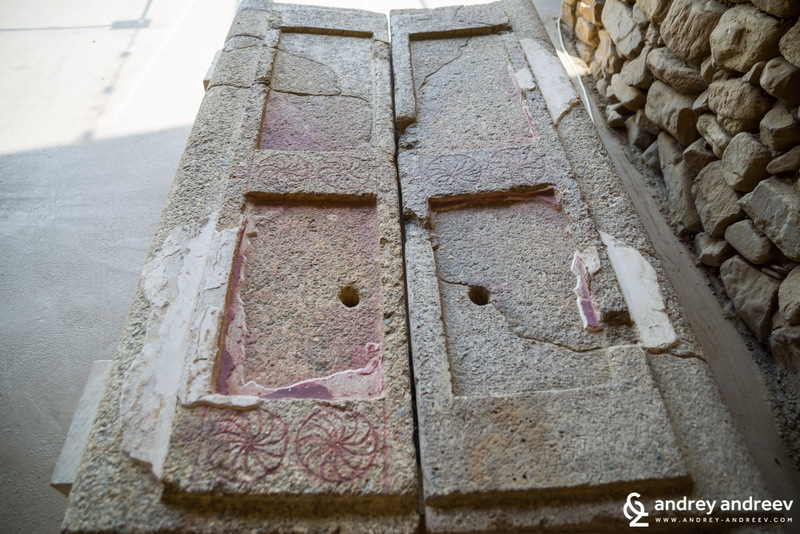 Among the unique things in the Helvetia tomb are the doors that have been preserved almost intact. 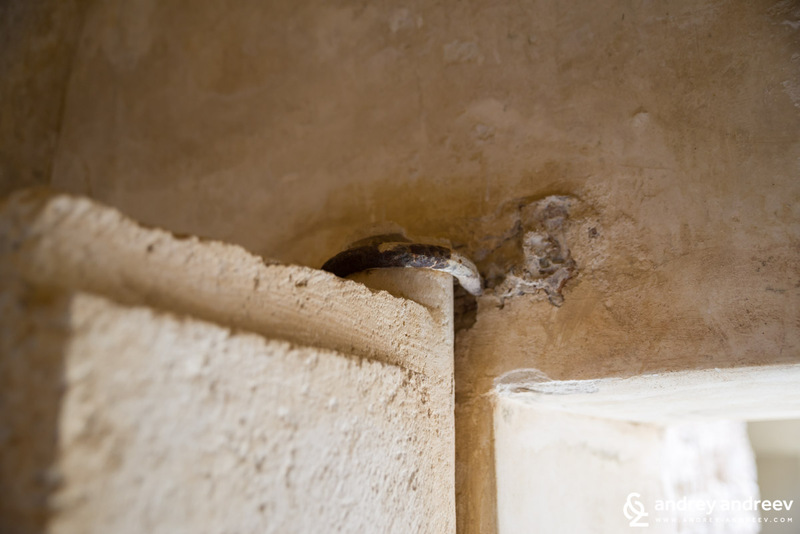 They are attached with iron brackets, covered with lead. Thee eastern wing was once painted in red, a symbol to the sunrise and birth of life. The western wing was painted in black, to remind of death. 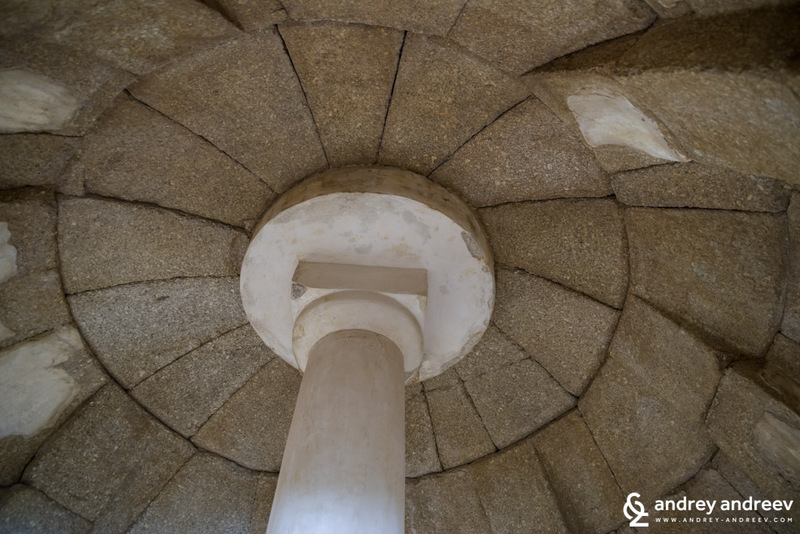 If you have been to the Tomb of Alexandrovo near Haskovo and Harmanli in Bulgaria, you may have noticed that similar colours are present in the paintings in the tomb’s dome. 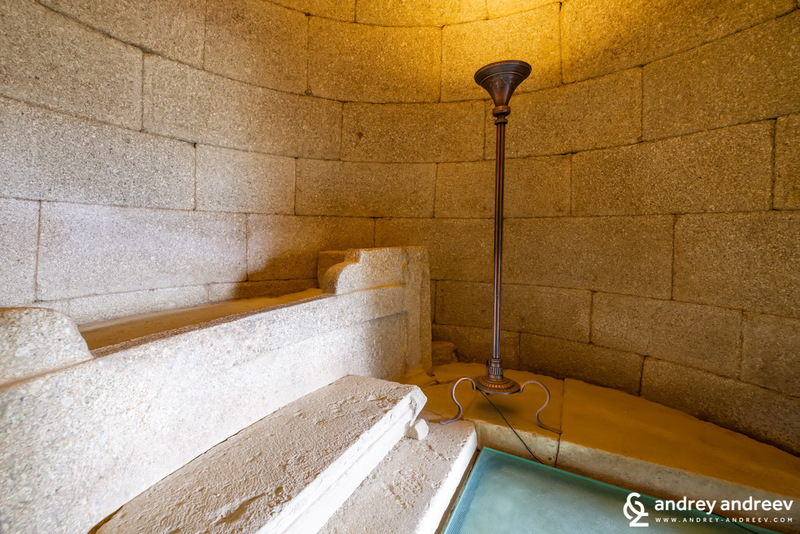 In the main buildings of the Thracian tombs there are usually two rooms – an antechamber and a main chamber. On the treshold of the antechamber there is a furrow and on the walls we could see spots, probably from animal blood. It is thought that sacrifices were made here. Everything sounds very creepy but this is how people in those times lived. 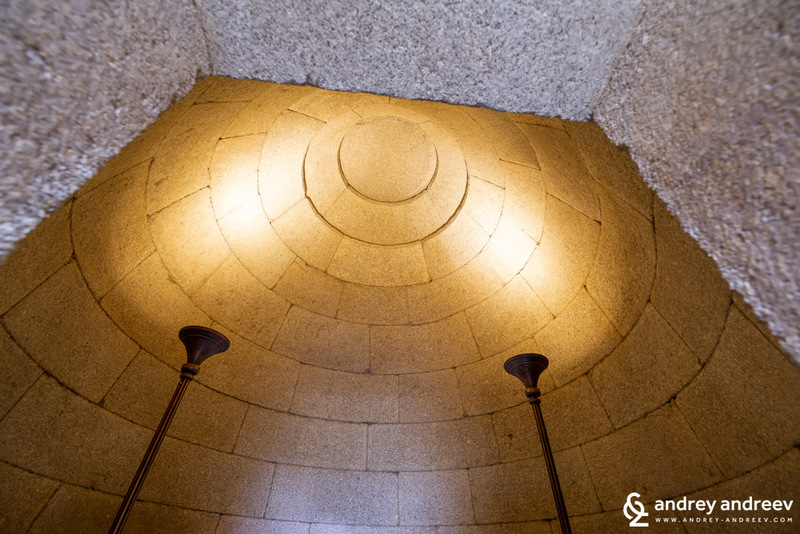 In the main chamber you can see a funeral bed – a normal attribute for a tomb. Here is the moment to mention that the doors are able to be locked from the inside. This is probably because the site was also used as a sanctuary and shamans probably locked themselves inside to execute their rituals. We head to the another tomb, in the neighbouring mound, named The Griffins. Again, let’s start with the name. The first thing we notice about the tomb is the impressive decoration of the entrance, just above the gate. Initially we do not recognize any known objects, but our guide Kristiyan starts explaining us. This is actually where the “griffins” are. There are no actual griffins, but the decorations above the gate remind of heads of griffins. The entrance to this tomb looks really impressive. It was also closed with massive stone gates, opening to the outside. Another such gate used to close the funeral chamber. 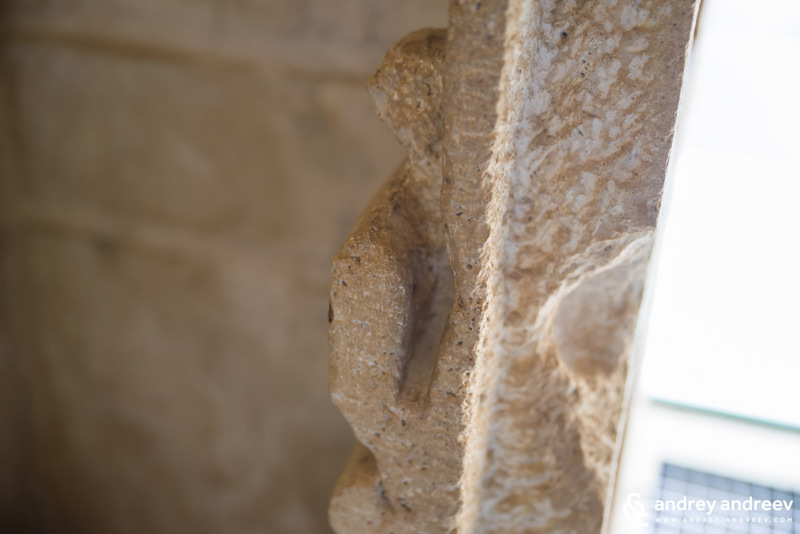 Nowadays you can see fragments of the gates, exposed in the antechamber of the tomb. In the funeral chamber is preserved the funeral bed. An interesting element is the movable stone block in front of it, recalling a step or a bench. As usual, we can only guess what its function was. Like Helvetia and another nearby tomb – Shushmanets, it is believed that the Griffins was functioning also as a temple. So this object may have been used in various rituals. Very few things have been oficially confirmed about the Griffins Thracian tomb, as well as about most other such tombs in Bulgaria. It is suggested that the Griffins tomb was used during two periods. Evidences of this are the two levels of the floor in the main chamber. Moreover, there is data that the dromos have been enlarged. Now let’s enrich the story with a few confirmed facts. The dromos is 8 m long and 4.7 m wide. This is not hard to prove because it is visible and measurable. It is thought that during both periods of exploitation, the dromos was roofless. Maybe in the beginning there was some kind of canopy. 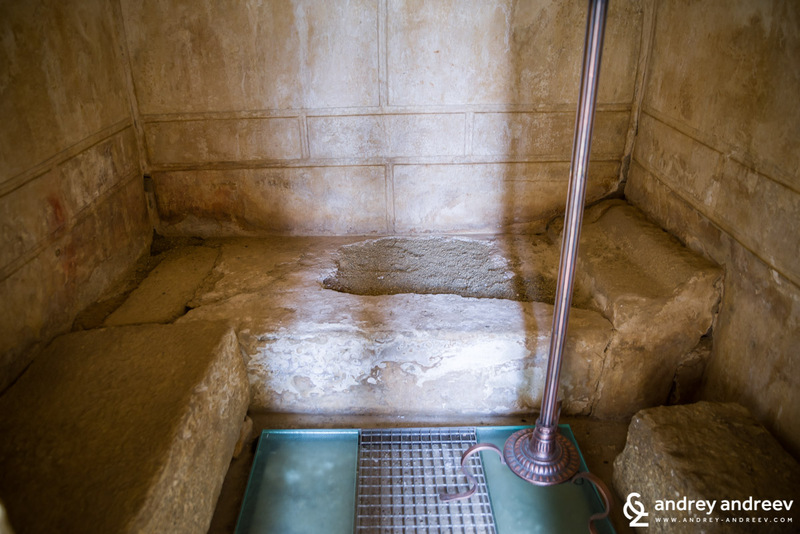 There is data of two construction periods of the tomb and a prolonged period of use. But the most important question – who was buried there – does not have an answer yet. The Griffins tomb, as well as Helvetia, was looted in the antiquity and most of the relics were stolen. During its discovery in 1996, only minor objects were found, which helped her dating – late V and early IV century BC. 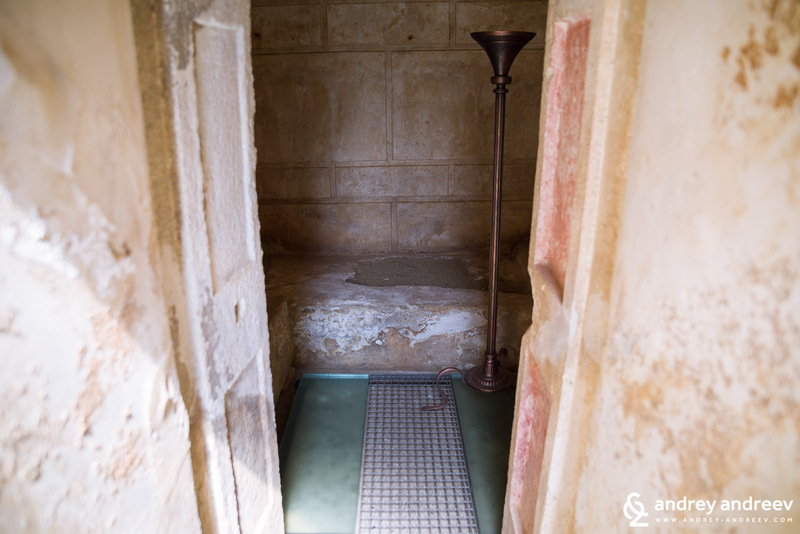 If any part of our story so far have awakened your interest to visiting one of the mentioned tombs, get ready to visit not just one but 3 tombs in a row. Helvetia and the Griffons are in immediate vicinity to each other. 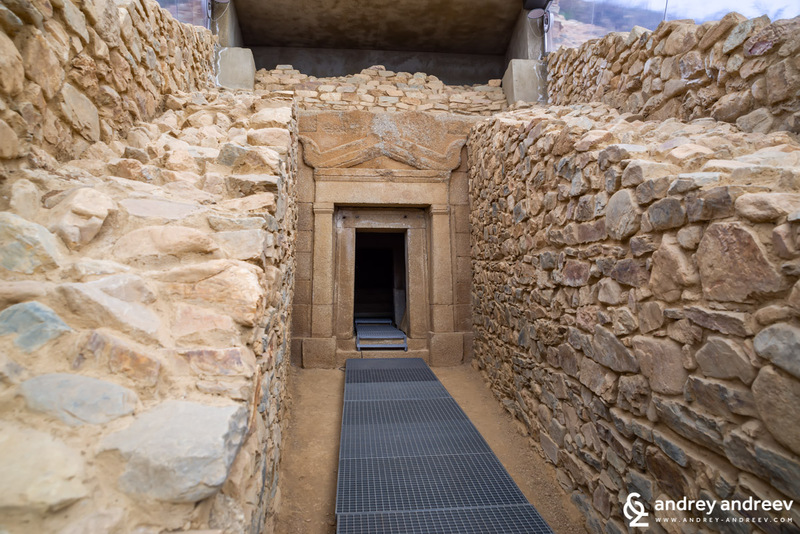 Just steps from them is another impressive tomb – Shushmanets. The Shushmanets tomb looked to us even more impressive than the previous one. Standing in from of its gates, it is not difficult to imagine that you are in front of an ancient temple. Almost like Indiana Jones. Actually, the archaeologist who discovered the tomb, the late Georgi Kitov, was called by Bulgarian media the Bulgarian Indiana Jones. Despite we do not like to use such nicknames, we immediately imagined a scene from these movies when standing in front of the Shushmanets tomb. The Shushmanets tomb looks more spacious, compared to Helvetia and the Griffins, despite this could be an optical illusion. Actually, its dromos looks quite more spacious because it is 6 m wide and 4m long (the other corridors of tombs are usually longer and narrower). The facade of the tomb is a solid wall made by 10 rows of stone, with a beautiful arch and a column in the middle. Behind the column is the entrance to the funeral chamber. Once it was hidden between solid stone gates, too. Nowadays you can see them in the dromos of the tomb. 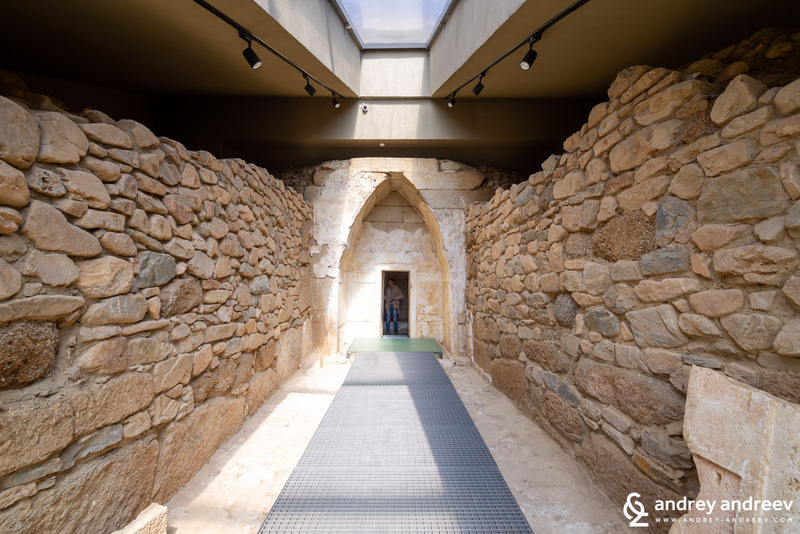 We step carefully on the glass path, installed upon the remains of the once floor of the antechamber, to take a glimpse in the main chamber where visitors are not allowed. 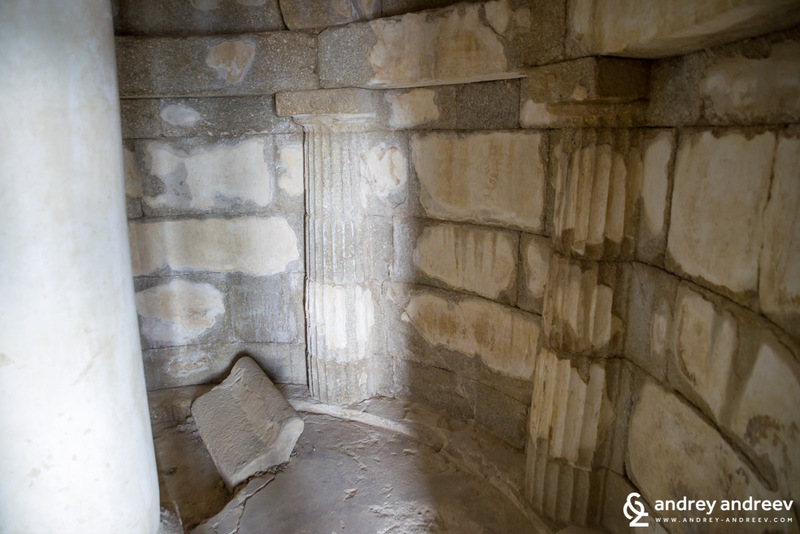 In the middle of the funeral chamber there is another column and the walls are desorated with semi-columns. 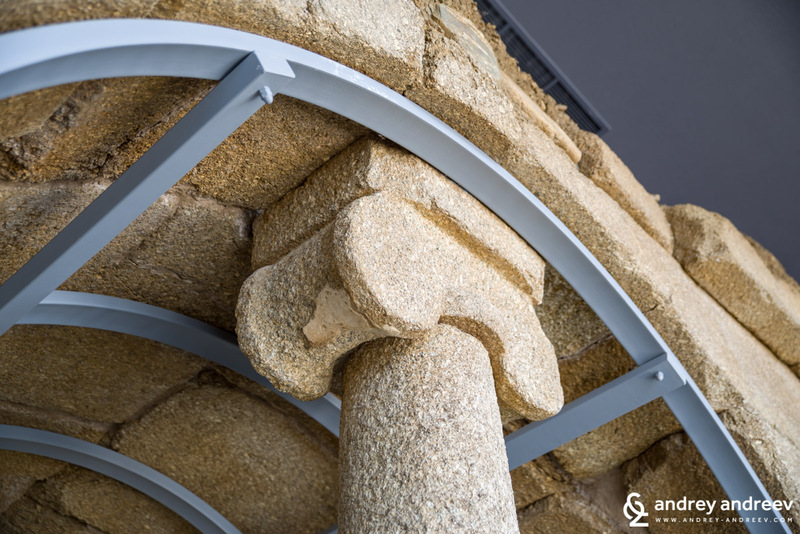 You can notice three architectural belts in the construction. Also visible are the traces of the fine white plaster than once coated all the walls. And we do not need a lot of imagination to convince ourselves that here was standing an impressive Thracian temple, built and used very carefully. 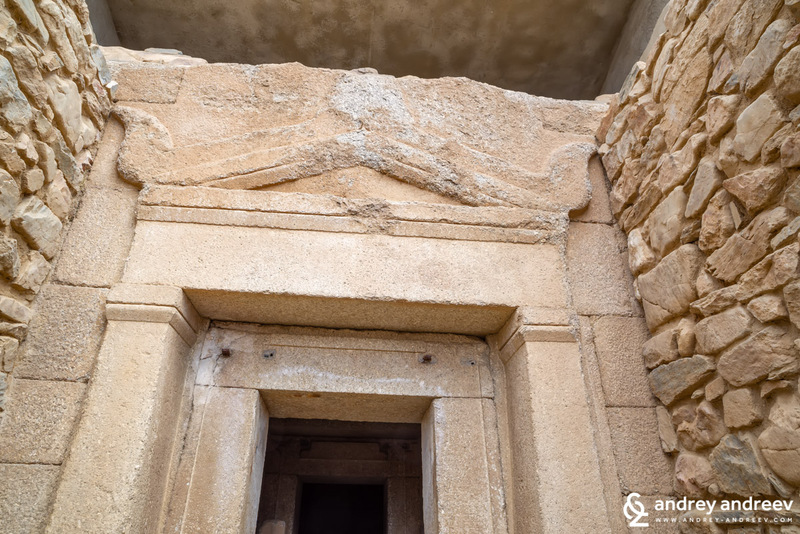 Instead of copying and pasting too many detail about the dimensions of the tomb, which you can see and read everywhere, we will move on with a few stories we learned during our visit there. As we said earlier, nothing is absolutely sure about the Thracian tombs, except things like material and dimensions that are obvious and visible. So, the tomb in the Shushmanets mound dates to the IV century BC. Evidence of this is the architecture of the building. In the funeral chamber nowadays we could only find remains of the funeral bed, which was destroyed in the antiquity. This is why no major objects were found in Shushmanets during its most recent discovery. In the dromos were found remains of four horses and two dogs, probably sacrificed in some religious rituals. 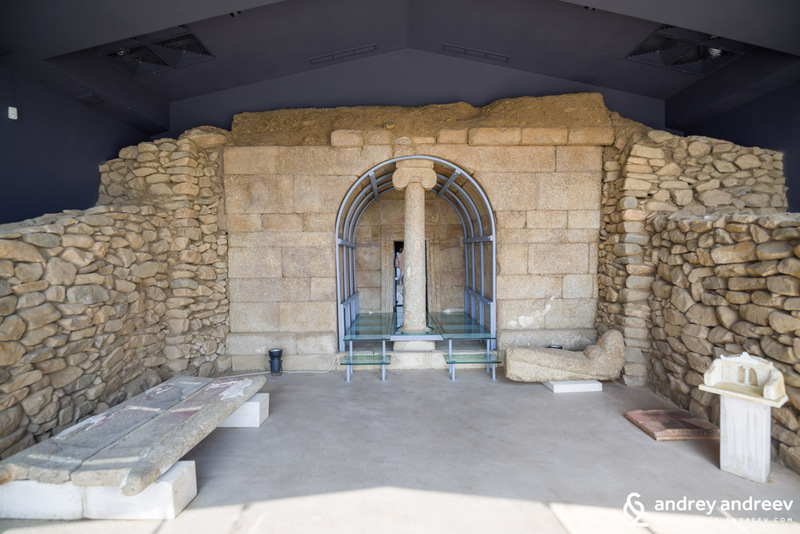 After our first visit to Mezek Thracian tomb in may 2017 we felt a great attraction to these so mystical places, the Thracian tombs. We have so many of them in Bulgaria and we know so little about them. 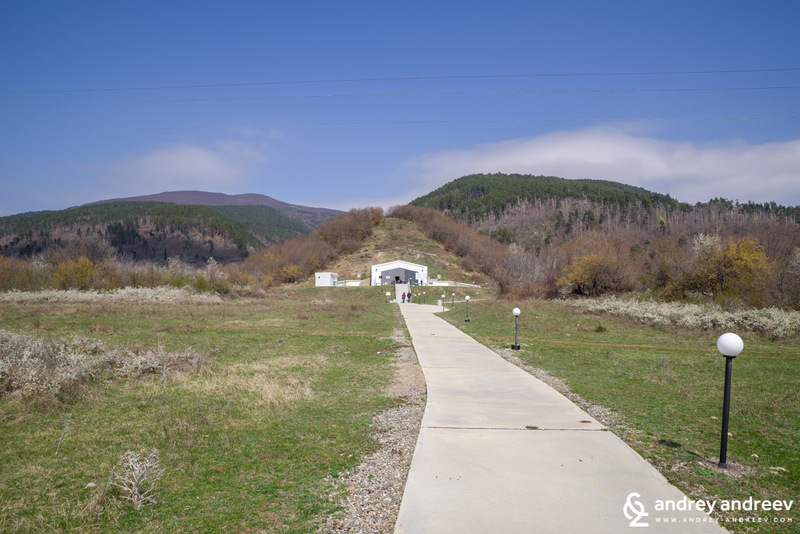 Soon after this, we visited the Tomb of Alexandrovo and this year we promised to go to all accessible tombs in the Kazanlak Valley, known also as the Valley of Thracian rulers. Helvetia and Griffins tombs were most recently renovated and open for visitors in 2017, this is why we started from them. However, we are looking forwards to see all the others. There are not more or less important tombs. Every mound is full of history and we will use every possible moment in the coming months to get into more of them, to ask what is special about them and to imagine that we are standing in front of some ancient temple, whose doors are being opened with incantations and magic happens inside.